Just tied some up over the weekend. Fluorescent green, pink and a purple. Looking for some other colors. Arizona ice dub and same 5/32 bead up front. Easy quick tie. Also worked on some pink squiggly wormies as well. See how they do around here in CNY on the local trouts. Those will all work, would love to see your versions. 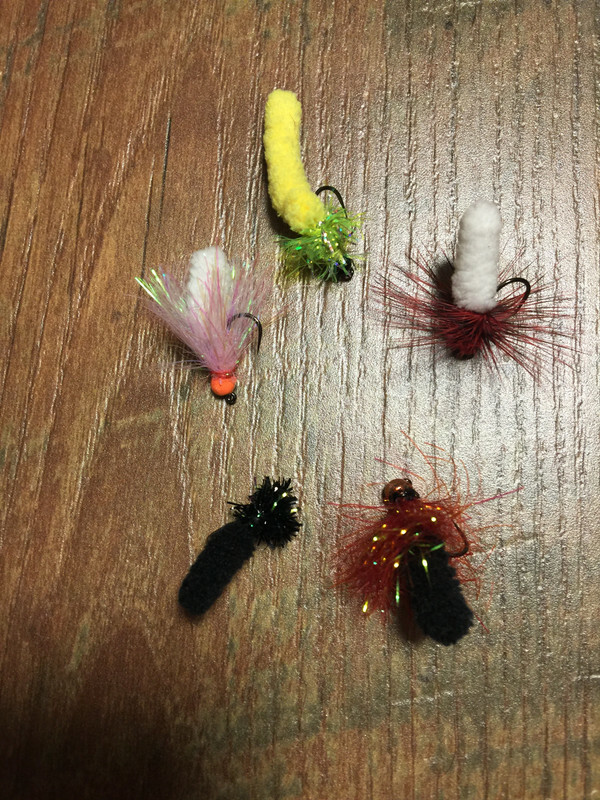 they work well on trout here, the all black one the best do far. Thanks - I'll steal your mop fly variations. I'm glad you posted the squirmy wormy flies, that wasn't what I'd pictured in my head. 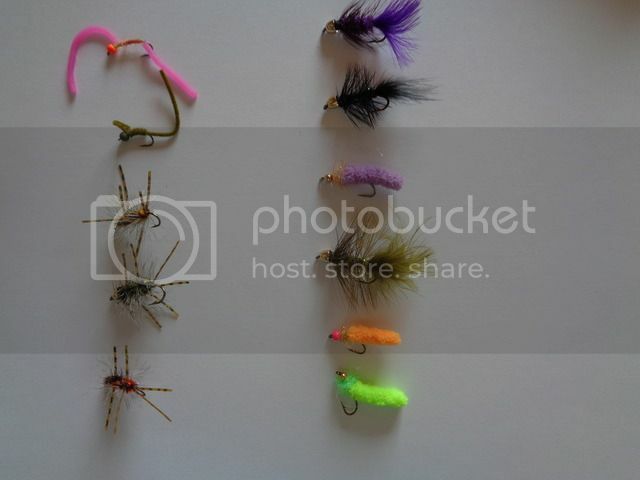 Current selection of non traditional alternative choice flies. 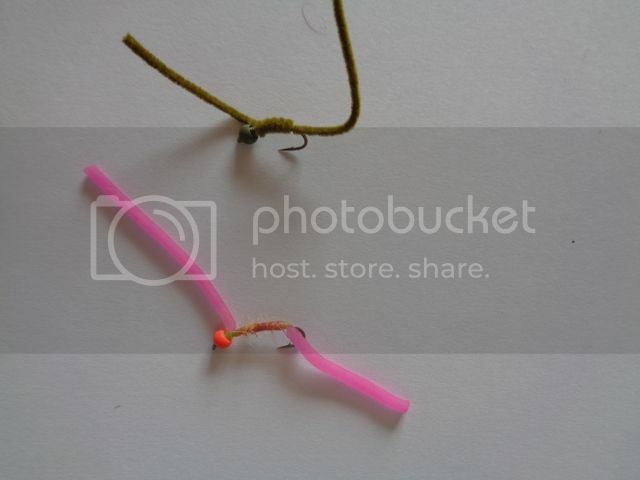 I don't have a picture, but I tie a small Brown Trout Clouser that works wonderfully.